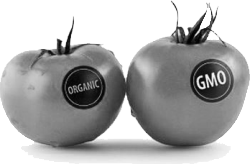 Washington state recently had a referendum on GMO labeling. The referendum lost, largely due to an anti-labeling campaign where large food processing companies like Pepsi, Monsanto, and others spent millions suggesting that labeling would carry a cost burden. There isn’t strong or significant evidence to support the costs of GMO labeling, with some agencies saying there is no real cost. Some say that the U.S. is losing exports to countries that require GMO labeling, and still others say that labeling will be an unnecessary burden on GMO producers. Suffice to say, the idea of costs is split down the middle. So forget about the costs for a moment. Some reports show that there are health risks associated with GMO foods, while others say they are fine. Others say that the current function of GMO processing is primarily to produce higher yields, or to reduce the costs of food production. Again, it all splits down the middle. So forget about the health concerns for a moment. Let’s look at just the concept of labeling. Reports are that between 60 and 70 percent of the U.S. populace drink bottled water. Why would so many folk pay for water in a bottle when most of us have access to tap water? The general idea is that we do not know what is really in tap water. Citizens do not trust their processing plants, their plumbing systems, and others involved in the delivery of water. But they trust that Coca Cola and Aquafina will provide them quality water in a bottle. At the very least the bottle has to have a label on it that specifies what is and isn’t in it. So we do want to know what is in the food we consume. Given that there is no specific evidence to prove that GMO labeling carries a cost, and that there is some controversy as to the health risks of GMO foods, but there is no controversy about the desire to know what we put in our bodies, the GMO labeling issue seems simple. I mean we are only talking about a label. OMG. This entry was posted in Oh no. Politics, Philosophic. Bookmark the permalink.